If you love history, stately city living and having the best of everything in just a few blocks’ walk; Old City is the place for you. Welcome to Philadelphia’s first neighborhood. Living here means that you’d be residing in the same neighborhood that Ben Franklin and our founding fathers resided in when our nation was born. Old City is the hub of Philadelphia’s Historic District, and it boundaries span from Vine Street to Walnut Street, north to south, and from 7th Street to the Delaware River, west to east. 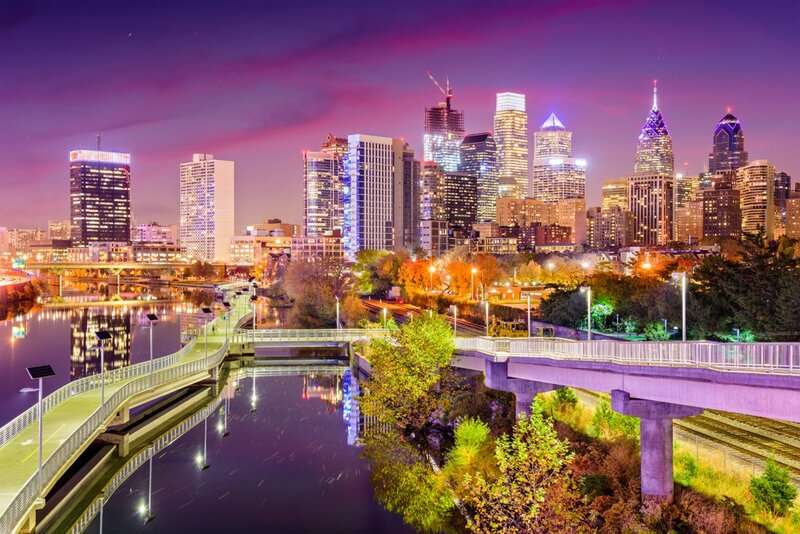 Historic Philadelphia is the birthplace of the nation and the first World Heritage City in the U.S., as designated by the Organization of World Heritage Cities (OWHC). It’s also home to buzzed-about restaurants and beer gardens, owner-operated boutiques, boundary-pushing art galleries and more. This is an area with diverse housing opportunities; from stately historic homes to modern condos and apartments. Living here means you get access to art galleries, museums, excellent transit and your choice of some of the nation’s finest bars and restaurants. SEPTA’s Market-Frankford (blue) subway line makes Old City easily accessible, with stops at 5th and 2nd streets along Market. The PATCO High-Speed Line connects people with New Jersey with its stop at 8th and Market Sts. 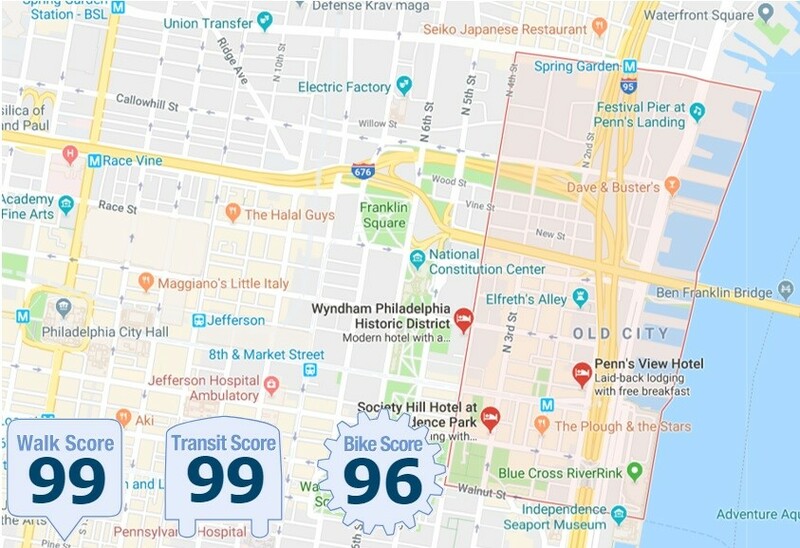 There are also Many bus routes also include stops in Penn’s Landing, and the seasonal PHLASH bus offers convenient access from the Independence Visitor Center to Philadelphia’s top attractions. Its proximity to the Liberty Bell, Penn’s Landing and Benjamin Franklin Bridge makes Old City a favorite for residents, Philadelphia-area neighbors and tourists experiencing our living history. People love the neighborhood for its fashionable boutiques, great restaurants, eclectic galleries and theaters, and vibrant nightlife. Especially popular on first Fridays of each month, when art lovers fill the streets for year-round art walks and hop from gallery to gallery. Next to Independence Mall, where the country’s Founding Fathers declared liberty, Old City still boasts charming cobblestone streets and plenty of 18th-century charm, to include the working post office established by Ben Franklin (first in America); with an independent streak evident in everything from its owner-operated shops to its edgy art scene. The historic heart of Philadelphia resides along Independence Mall. Home to Independence Hall and The Liberty Bell Center, this area also boasts a number of cultural institutions including the National Museum of American Jewish History, National Constitution Center and Philadelphia History Museum. In addition, the Delaware River waterfront hosts family-friendly events year-round. Penn’s Landing provides scenic views of the Benjamin Franklin Bridge and makes a popular seasonal destination with attractions like Spruce Street Harbor Park and the Blue Cross RiverRink. 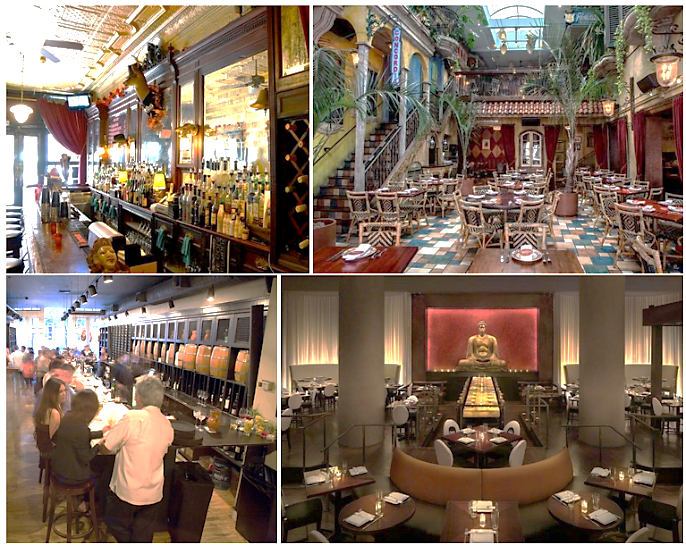 Old City is home to nationally-recognized bars and restaurants; to include those owned by famed restaurateurs Stephen Starr and Jorge Garces. The bar scene includes Mac’s Tavern at 3rd and Market; owned by Rob McElhenney of “Always Sunny in Philadelphia” fame as well as the bar that actually inspired the show, the original Patty’s Pub at 2nd and Race Streets. Whether you want a fine Italian meal, authentic British pub at the Victoria Freehouse, historic turtle soup at Bookbinder’s Old Bar, creole brunch at Sassafras or Khyber Pass, or the century-old ice cream and candy shops in the 100 block of Market St; Old City’s dining scene is guaranteed to never disappoint nor bore its residents.